Prime Location! Town Hill’s Gaslight District! Perfect for a First Time Home Buyer or Investor! This Exceptional 2 Bedroom Home offers a Sweeping Open Living room with Bay Windows, Exposed Brick, Towering Ceilings and Gleaming Hardwood Floors! Enjoy Entertaining your guests with its Wonderful Chef’s Gas Kitchen offering superior cabinet storage and stainless appliances! Custom glass tile back splash! Impressive over-sized granite slab dining peninsula with bead board wood front! Windows are Everywhere! Two Generous Bedrooms with warm & embracing antique Brick accent walls and big closets! Great Common Courtyard for Summer grilling & socializing with friends! 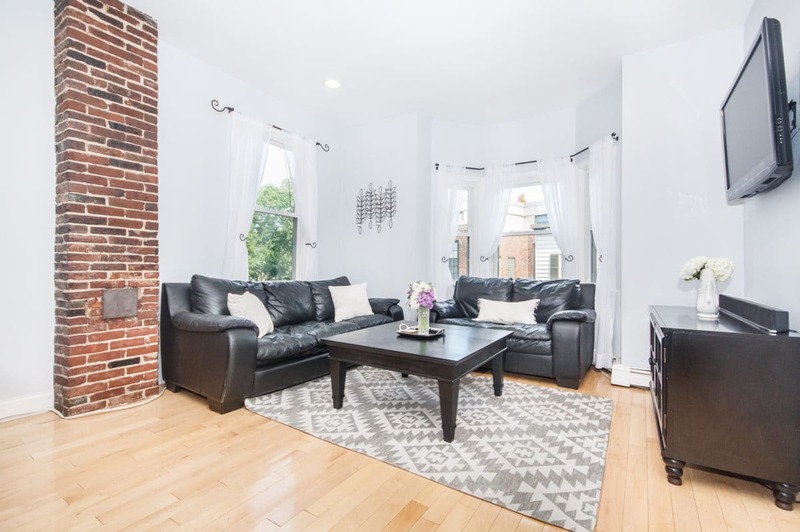 So much to offer the astute home buyer in the Heart of one of Charlestown’s most historic neighborhood! An Outstanding Value! Click Here to View More Photos and the Floorplan!